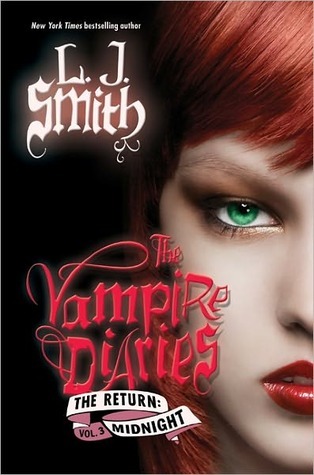 So my next release I can't wait to read is the third and final book in The Vampire Diaries: The Return series, or the Damon books as they are also known as. Had heard somewhere that L.J. won't be writing the books anymore because the publisher isn't liking the Elena-Damon thing or something to that fact, so another writer might take over. Again, not 100% sure on that, it was just something I remember hearing in the blogging world. I definitely won't be reading any more of these if L.J. isn't the author. Yeah, so basically what happened is that LJ was "writing for hire" with the books and that at anytime she could be fired and whatnot. She wanted to go the Delena route but the company want the Stelena route. She then came out with a statement that said that she was sad and whatnot but to not boycott the new books (I think I read somewhere that she was still going to be receiving royalties with them). Anyways, I am not a fan of the books whatsoever, but I do love the TV show! I'm really upset by this cause I loved the Delena route. No one EVER ends up with the underdog or 'bad guy' and that's always the one I prefer! I can't believe they 'sacked' her. I'll only be reading this one too, definitely won't be reading any others if they're gonna be full blown Stelena again. I've got this on my TBR list as well. The series itself has been up and down for me, but I won't be missing this one! Great pick. Great pick! I'm your newest follower!